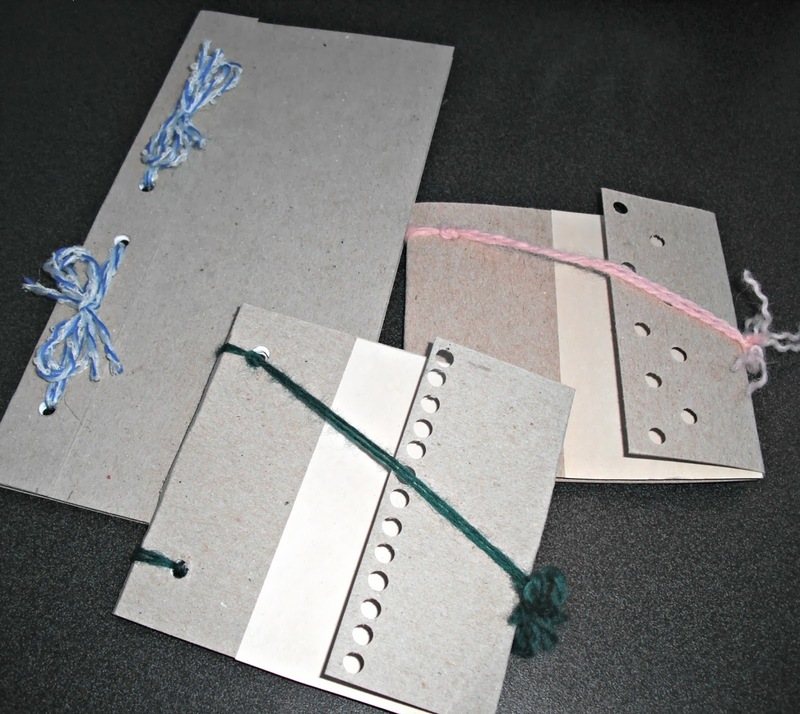 Scattered Scissors: Make your own scrappy notebooks for FREE! A few weeks ago I had an idea and wanted to sketch a women's shirt design. When I do sketches like this I use a flat pattern spec template and place it behind some copy paper to draw my design to scale. Sadly, all I had that day was my sketchpad and it's paper was too thick to use this method. Instead of doing a "woe is me", I just decided to make a notebook using scrap paper in the office. So I grabbed some scrap paper and got to work. 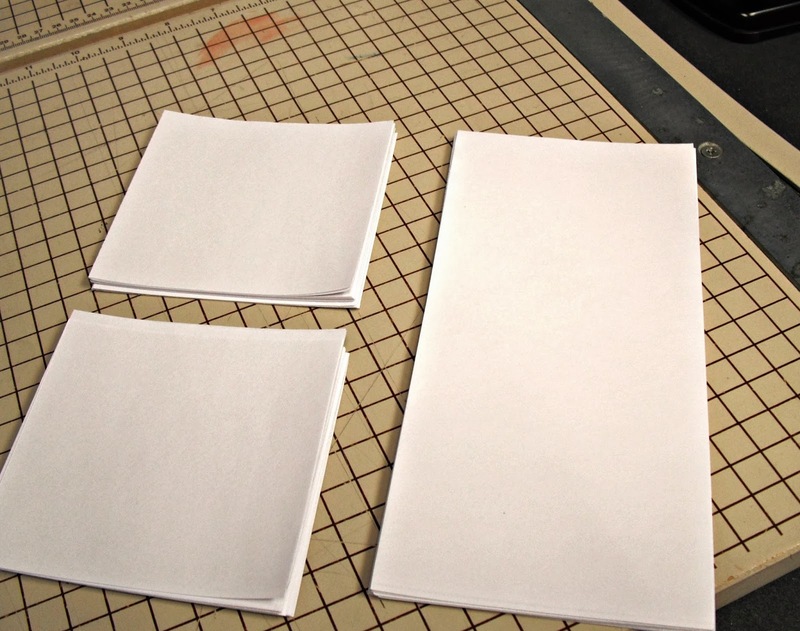 First I cut the paper into stacks of the same size. The smaller pieces were 4 1/2 inches square. I'm going to focus on this size. Using that measurement I cut a letter sized thin piece of cardboard the same width (Think cereal box or manilla folder thickness), so my cardboard was 4 1/2 by 10 1/2 inches. I found the thin cardboard lying around in a cabinet. I think it was the backing of a specialty paper pack. I layed the stack of paper on the cardboard lining up the edges. Using a pencil I traced the inner edge and scored it with an exacto knife to help if fold, folded it up and marked the thickness of the paper stack, marked and scored it again. This will be your notebook's spine. 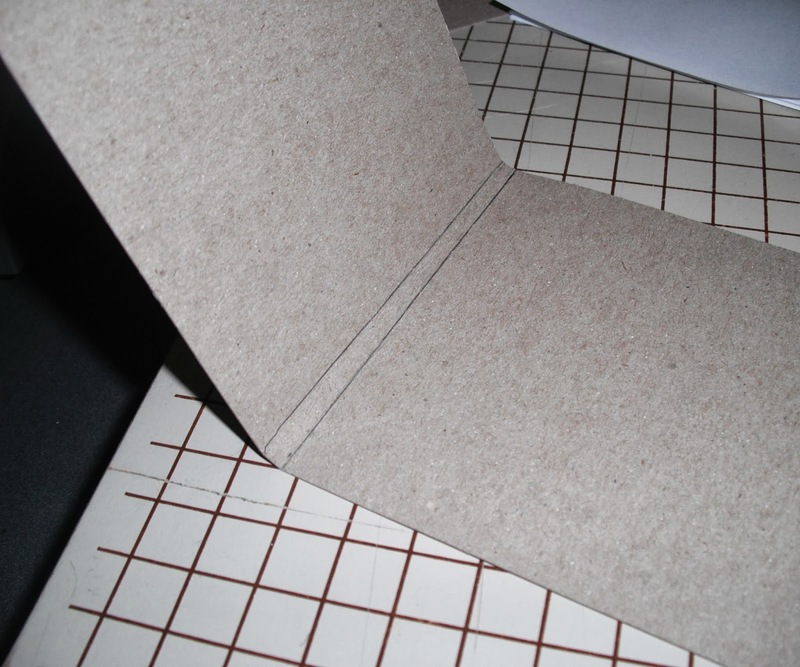 Scoring the cardboard makes it easier to bend and makes a nicer outer edge. 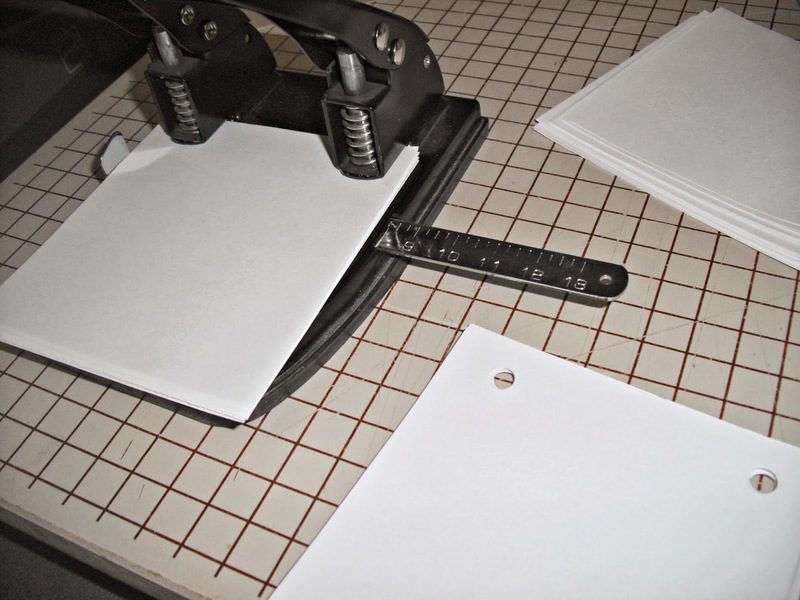 From there I positioned and two-hole punched the paper. 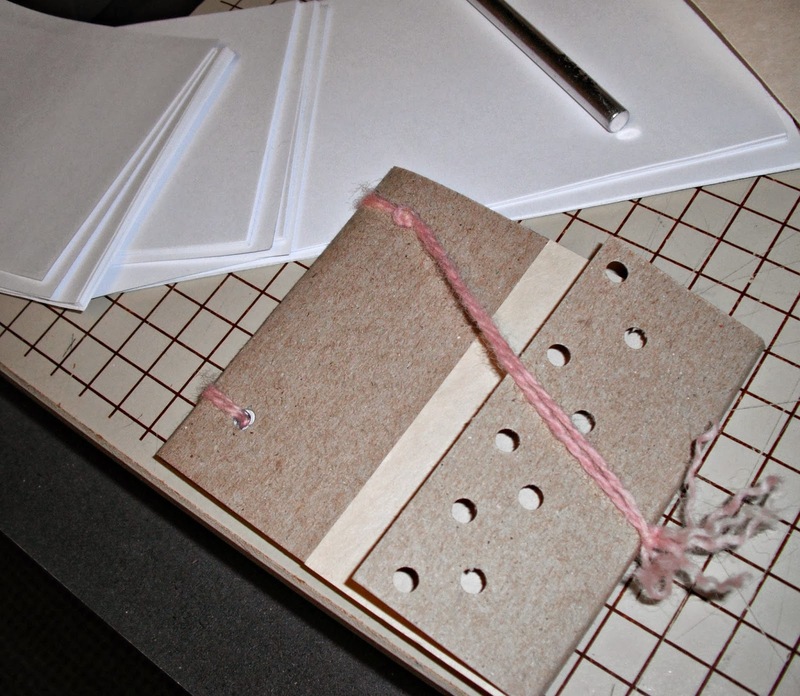 I layed the stack of paper on top of the cardboard with non hole punched sides out, matching up the outer edges. 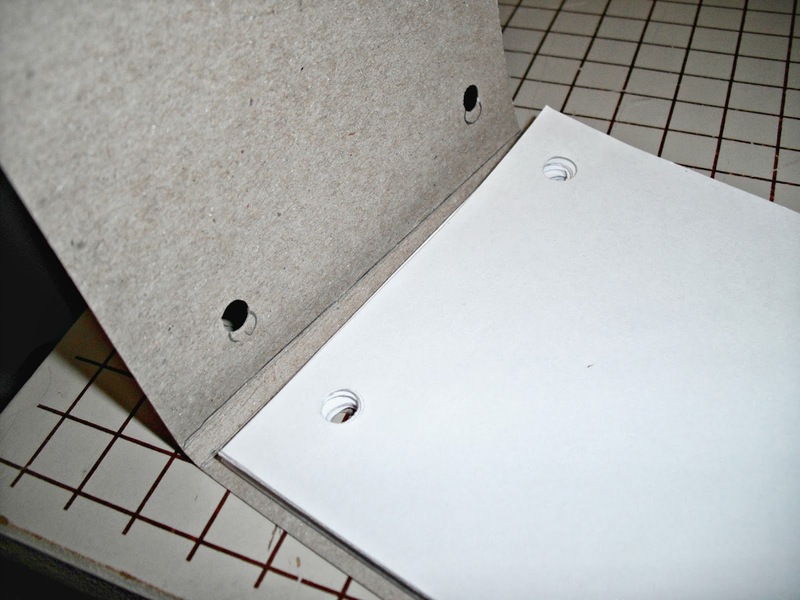 After that I marked the holes with a pencil on the cardboard and punched it with a single hole punch. 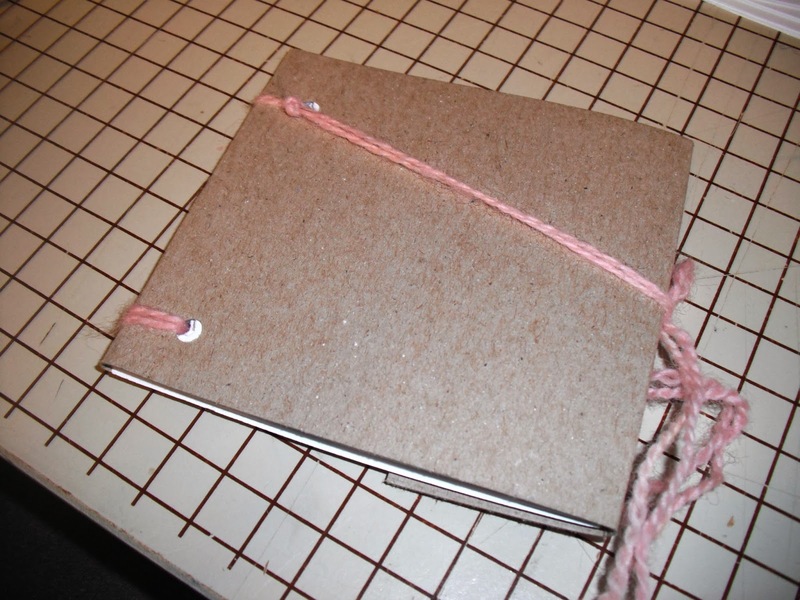 Stack the paper inside the cardboard and thread some doubled up yarn or twine through the holes. Roughly cut it 4 times the width of the notebook. Finish with an overhand knot. Now you will have a notebook with a flap hanging off the side. 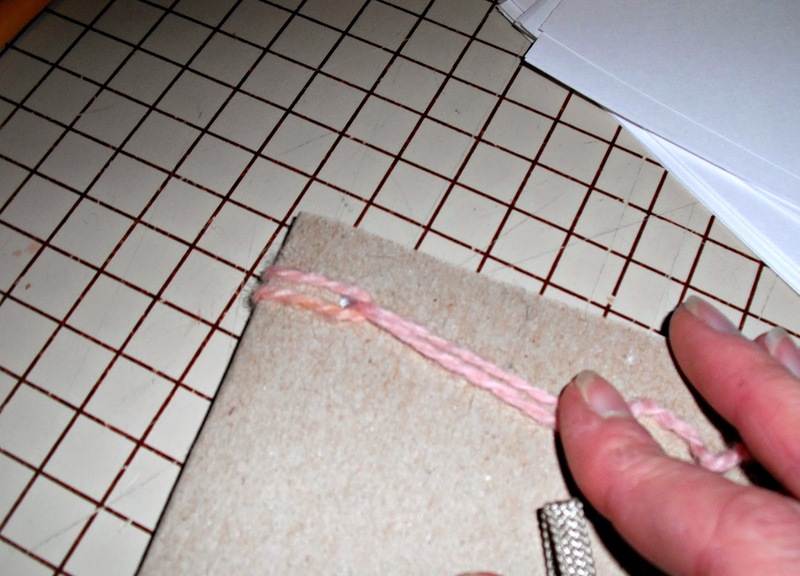 Mark and score the flap with an exacto again using the edge of the paper stack. This will help secure your notebook. Now fold this over and grab your two lengths of yarn. Position the top one on front and the bottom one behind the notebook and tie. Trim off excess yarn and if you'd like fray the edge. Decorate with stuff you have laying around. I used scrap paper and the hole punch to make a pattern. These are just a few of the ones I made. Aren't they lovely? I think they would make perfect gifts or little wedding favors. You can dress them up or down as much as you like. I'm thinking of making some Shamrock ones for St. Patrick's Day or Easter themed ones for the bunny to leave for the kids. And the best part is, they were absolutely free.